Hey, is that a guitar teacher in your pocket? Why yes… yes it is! 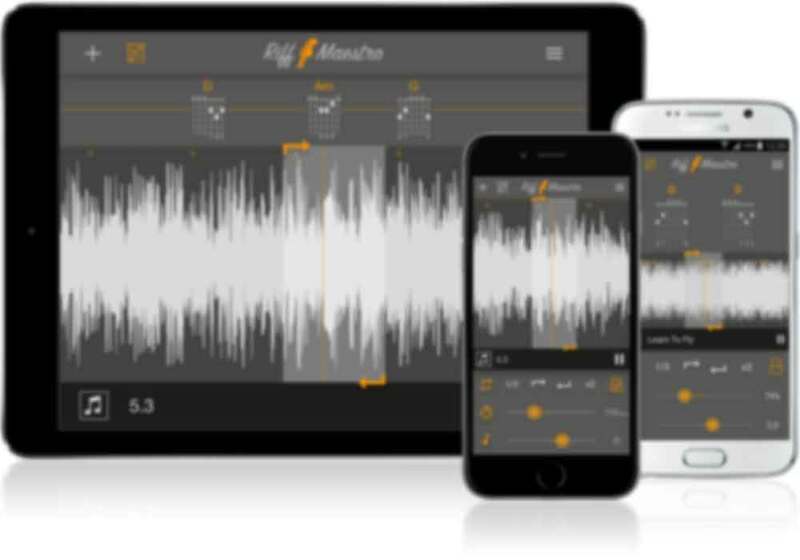 Introducing Riff Maestro, the amazing free riff learning app for iPhone, iPad, iPod touch and Android that puts the power of your own personal guitar instructor right in your pocket. Now you can load up your favorite songs, set loop points, slow down riffs and pick ‘em out note for note until you’re a maestro yourself. Riff Maestro also has a chord recognition feature that can automatically detect the chords used in songs as they happen. It displays each chord as an easy-to-read chord block diagram. How cool is that? Want to learn a song in a different key? No problem! Riff Maestro has an amazingly accurate pitch control that lets you change the key of a song in semi-tone increments. There’s also a beat detection feature that syncs the onboard metronome feature with the song tempo automatically — now you can practice riffs with the precision of any tempo you choose! We created Riff Maestro to give you an extremely fast way to get down to the business of learning riffs — your favorite riffs, not just the ones a “guitar teacher” thinks you should learn. 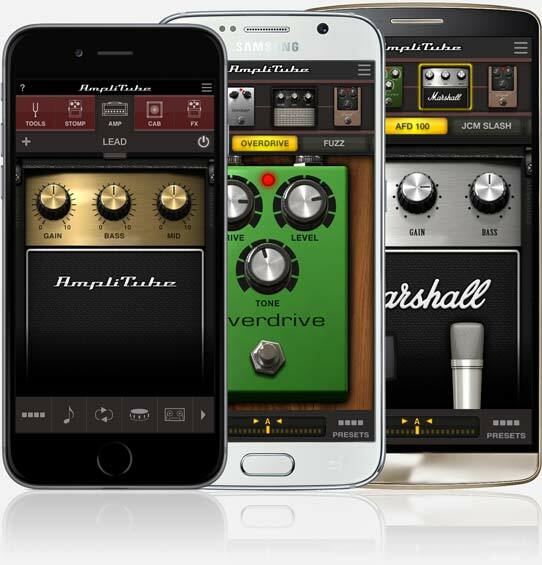 Riff Maestro is just like having your very own guitar teacher in your pocket that you can control completely. Use it to learn all your favorite riffs, leads, chord progressions and complete songs. Just import any song from your device’s music library and then start wailing away. You can even use it in the background with AmpliTube for iPhone/iPad and AmpliTube UA — perfect for practicing with AmpliTube's powerful tone processing. 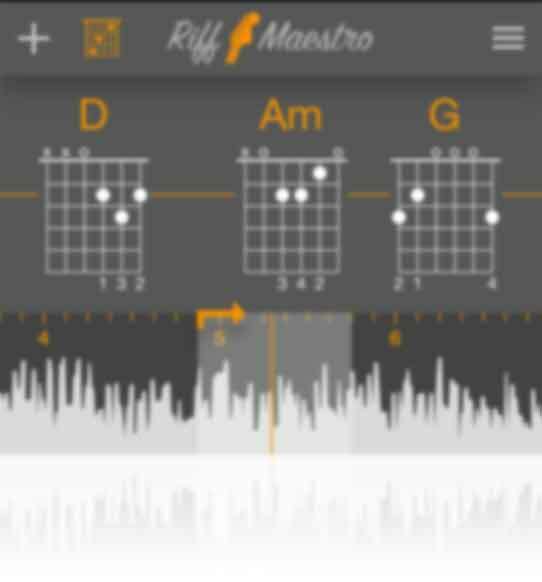 Once you've chosen a song from the songs available on your device, Riff Maestro begins to work behind the scenes, analyzing the structure and nature of the song so that it can help you learn every part. Want to get really deep into the nitty gritty of your favorite songs? Then check out Riff Maestro’s powerful Chords detection tool. Available via in-app purchase, this feature automatically detects and displays chords as they happen in your selected song as easy-to-read chord boxes (or as large labels). It’s extremely helpful for when you want to learn the structures of your favorite songs. Now you can be sure of the scale and key of your favorite tunes so you can play, strum and solo with complete confidence. Imitation may be the purest form of flattery, but repetition is the purest form of “getting it right.” Learning through looping is a powerful way to learn even the most complex songs. Riff Maestro lets you create loops via an effortless DAW-style waveform display. Just drag the waveform to where you want it to be, find the part you want to loop and then create a “loop region” on the waveform itself. Hit “play” and the active loop region will…you guessed it, loop over and over and over and over…well you get the idea. With Riff Maestro, you’ve got the tools to get it right again and again! Looping isn’t the only trick up Riff Maestro’s sleeve. It also comes equipped with a Tempo slider that lets you increase or decrease the speed of a song without affecting the pitch. Now you can slow down those insanely complex and speedy solos so you can learn every last dive bomb, pinch harmonic, bend, slide, pull off and note. You can also improve and add-on to these features via in-app purchase. The sound quality of Tempo can be improved by purchasing Tempo/Transpose HQ. This also adds a transpose slider that can change the key of a song +/- 12 semitones. There’s also an automatic BPM detector with a metronome that automatically finds your song’s beats-per-minute and plays a count-in a bar before your selected song or loop begins playing. No matter how you use it, Riff Maestro lets you learn songs at your own pace, part-by-part, which means that you can learn everything from simple riffs and chord progressions to more complex solos and leads.